You can read more about these and many others in the dedicated thread on the DCS forum. Earlier we have showed off work-in-progress images of some new units coming to DCS World like the SA-2 and Rapier SAM systems and the HY-2 “Silkworm” anti-ship cruise missile. 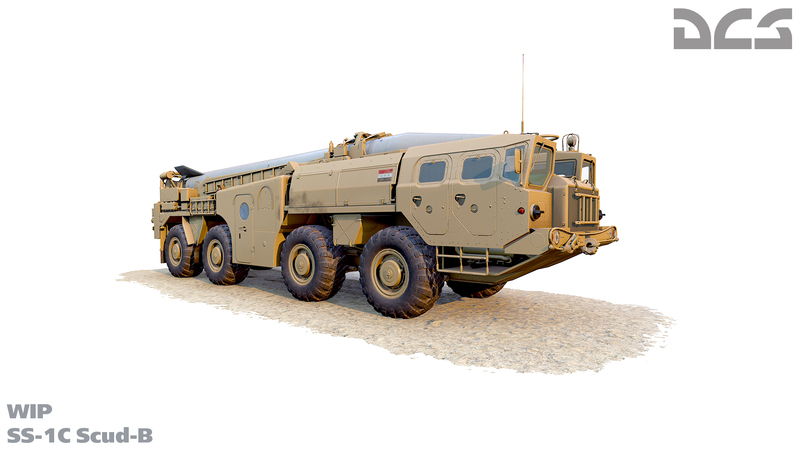 This week we’d like to show you the first images of the SS-1C Scud-B short-range ballistic missile. First developed by the Soviet Union in the 1960s, the Scud-B (Russian Theater Ballistic Missile system 9К72 Elbrus with missile 8K14 or R-17) has been fielded by more than 32 countries, has a range of up to 300 km, a 450 meter accuracy, and a 985 kg high-explosive warhead. 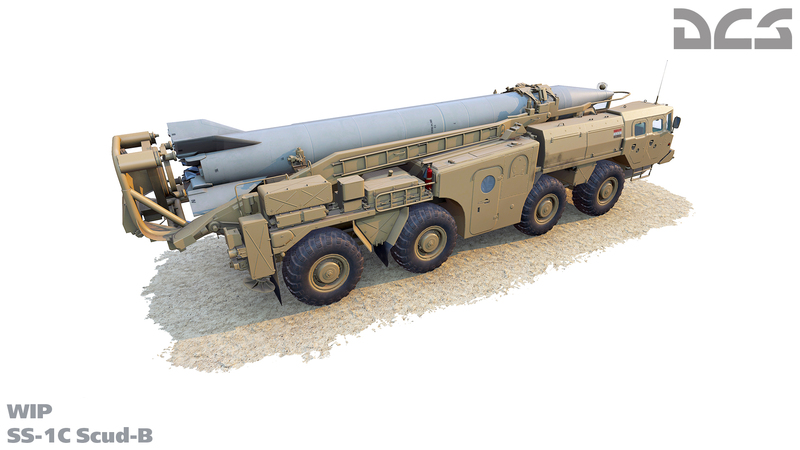 The Scud-B is a mobile system that is transported and launched from a MAZ-543 Transporter Erector Launcher (TEL) (Russian index 9P117). The Scud-B was infamous during the first Gulf War and will play a critical target for missions and campaigns in the Persian Gulf map and others.